The Compliments We'd Rather Hear Than "You're Pretty"
49 Compliments We'd Rather Hear Than "You're Pretty"
Please raise your hand if you’ve ever felt personally victimized by the words: “you’re pretty.” No? Yes? If you identify with the latter—us too. Because in the realm of compliments, “pretty” feels forgettable and arbitrary. It’s like the blundering filler equivalent of “um” within the human lexicon. However, at least with “um,” we’re typically transitioning from one idea to the next with something more thought-provoking to come. While “you’re pretty” just kind of sits there. We know we’re supposed to find the word flattering, (and if you do, all the power to you, and we’d love to hear your thoughts), but what does “pretty” even mean? For some, it might suggest a sparkling personality, and for others, it might mean a beaming gap-toothed smile. So why do we feel the need to beat around the bush, stuttering “um” and “your pretty” when we could commend the qualities we’re drawn to instead? When I think back to the compliments that have meant the most to me over the years, it’s the unexpected and unstudied observations that have made me smile or given me an internal flutter of butterflies. For instance, I have this really bizarre thing I sometimes do with my lips when I’m caught off guard or feel uncomfortable in social situations. It’s an out-of-body twitchy reaction I only became aware of after it was (horrifyingly) caught on camera a few years back, and it falls somewhere on the spectrum between pursing and, I don’t know… sucking on my gums? Even though he immediately chuckled at my likely stricken expression of horror, my soul was soothed and I haven’t forgotten the compliment since. I was not only touched that he noticed that small flash of insecurity but that he somehow understood when and why I did it in the first place. And then, bless his heart, he went and appreciated it. Despite the fact I was probably a couple cocktails in (and ultimately, it didn’t work out between us), I’d never felt so inexplicably exposed yet simultaneously understood. Especially, might I add, when it had to do with something I always assumed was unflattering and embarrassing. So why am I spilling my guts to you about this? Well, this February, we’re working to challenge some of the normative themes we typically see this time of year, and we wanted to hear from you! 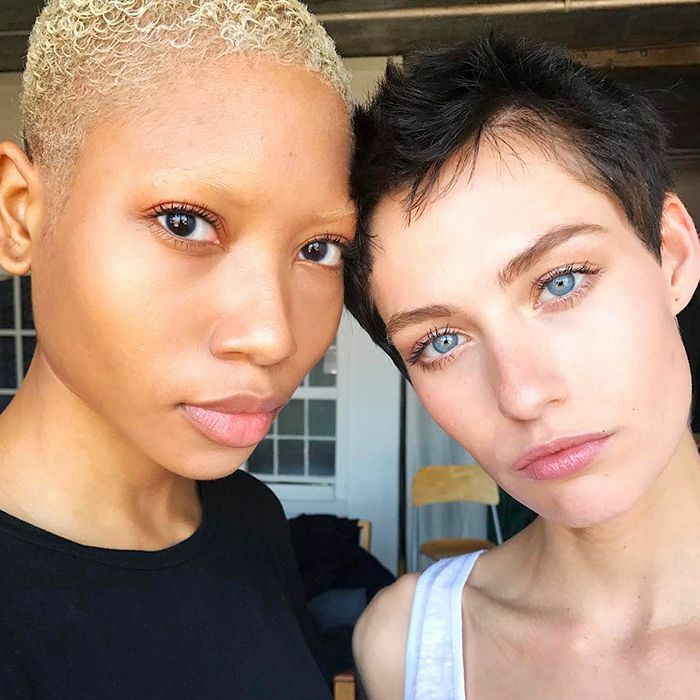 Sure, as beauty editors, we have lots of thoughts on the topic of “pretty” and we will be sharing a bit more on that below, but we were curious to know what our readers would rather hear in lieu of “you’re pretty.” Thus, we opened up Instagram last week and asked you for your thoughts on the topic. And as always (and because Byrdie readers are the best), you exceeded our expectations. Keep reading for 49 compliments team Byrdie (editors and readers alike) would rather hear than “you’re pretty.” Enjoy! I’d rather be told I’m funny. I love people who have a good sense of humor, those who don’t take life too seriously, and have the ability to find laughter in the little things. I just think it’s such a high compliment to hear from someone that you can make people laugh and express happiness.” — Kaitlyn McLintock, Byrdie contributor.